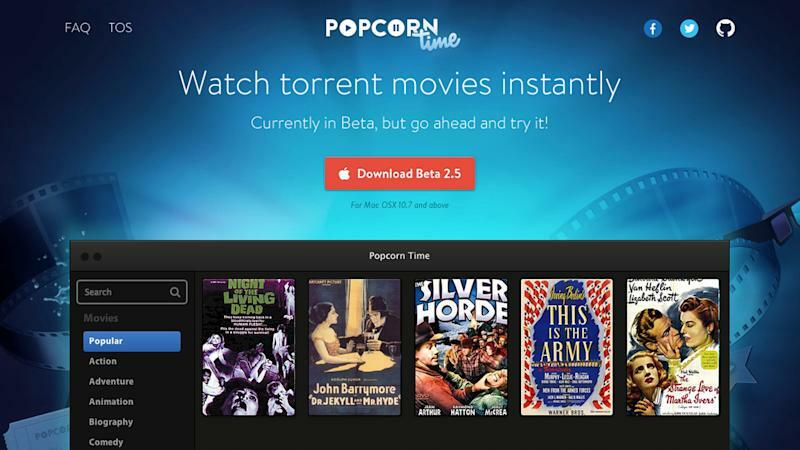 Updated on March 17: After being offline for a few days, Popcorn Time has reappeared with a new, working version. How long this update will last is unknown. Popcorn Time, we hardly knew ya. Just a few days after the new app arrived on the scene with its incredibly easy to use interface giving users acces to the entire Internet storehouse of illegally uploaded movies and TV shows, it has shut down. The authors of the Netflix-like (NFLX) software have not identified themselves but appear to have explained the shutdown in an anonymous post on Medium under an account where they had earlier touted the software's availability. "Our experiment has put us at the doors of endless debates about piracy and copyright, legal threats and the shady machinery that makes us feel in danger for doing what we love. And that’s not a battle we want a place in," the unknown authors wrote in a March 14 post. The authenticity of the post could not be confirmed. But a check of the app did show the service was no longer operating. Thousands of current movies and TV shows are available on the Internet in downloadable digital files via the file sharing network called BitTorrent. But watching the pirated shows requires sorting through various files of unknown quality and downloading them entirely to a computer or other device, a process that can take 10 to 20 minutes or more. Popcorn Time presented a friendly front end displaying pirated movies and, with a single click, streamed the content instantly onto the user's computer screen. The software included warnings that its use might not be legal in some countries. Once major media outlets, including Yahoo Finance, publicized the app's capabilities, usage spiked, as did angry rhetoric from copyright holders in Hollywood. Downloading of the app itself was interrupted and then restored earlier this week due to a change in the web site where it resided, but the service was operating for those who had the app until Friday.